Carded wool :: Carded Wool Natural Colors :: White natural carded 24.5 mic merino, 50gr. Home/Carded wool/Carded Wool Natural Colors/White natural carded 24.5 mic merino, 50gr. Minimum quantity for "White natural carded 24.5 mic merino, 50gr." is 2. 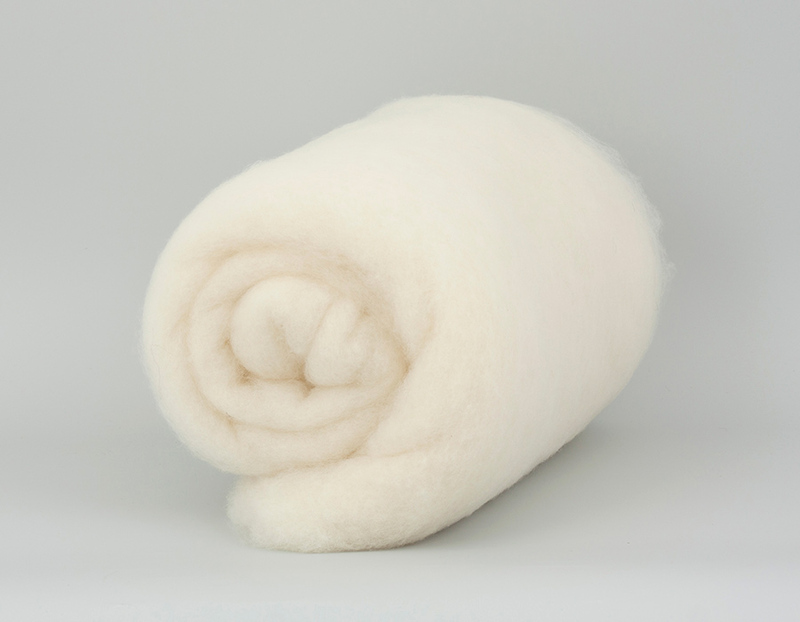 Australian carded wool 24.5 micron from ECO-HOBBY WOOL AND FELTING LTD factory made from high quality Australian raw materials. A very nice lofty batt for needle felting little critters. Very well made. soft. thanks.